Are you looking for a NetSuite solution provider with deep manufacturing industry knowledge and experience? 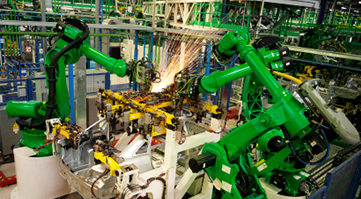 DKM has helped over 200 manufacturing companies with their ERP implementations. DKM has experience and deep knowledge in a broad range of ERP and CRM consulting areas. Grow your business, not your IT budget. DKM provides varying levels of managed services for both domestic and international business operations. Get the customer love you deserve. Streamline your sales, service and marketing with the world's most loved customer relationship management solution. Buy the #1 web-based business software suite. As a certified NetSuite solution provider, DKM implements exceptional financial, accounting, ERP, CRM and ecommerce solutions on the NetSuite platform. Gain a complete view of customer interactions across departments with Salesforce - providing information and insights for better planning, managing,and forecasting. Since 1990, DKM has been one of the few ERP consulting companies providing world class support for Made2Manage customers. We are an independent source of consulting for all functional areas of Made2Manage, a registered trademark of Aptean Inc., all rights reserved. Get a free 2 hour assessment of your current ERP installation. Start here. Get a free 2 hour assessment of your current CRM installation. Start here. DKM is in the business of helping companies become World Class. We have broad-based experience with mid-market company operations, including continuous improvement, ISO-9000, plant floor redesign, cellular manufacturing setup, aligning strategic goals with operational efficiency, and aligning your operational goals with your ERP solution. 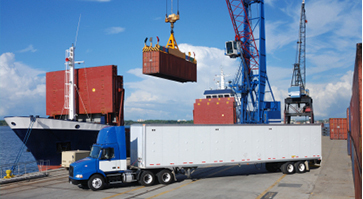 To find out how companies have reduced their inventory and lead time numbers significantly, contact us today. Developing Knowledge in Manufacturing recognizes that companies may want to strategically outsource some or all of their IT infrastructure and staffing. DKM provides facilities management (you keep the IT infrastructure in-house) to keep your IT staffing to zero, or to a minimum. We partner with AVNET®, the largest IBM Business Partner in the world, to provide data center outsourcing and high availability remote locations. Developing Knowledge in Manufacturing can help manage your company, from your back office (accounting) to your front office (sales, quotes, support) with one application - combining sales, customer service, support, financials, job orders, kitting, assemblies, inventory, e-commerce and more. 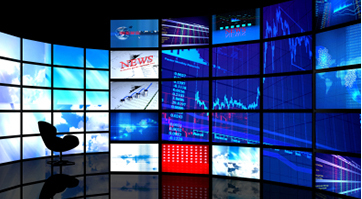 Developing Knowledge in Manufacturing can help your media and entertainment business manage all your customers - subscribers and advertisers alike - in unique applications that seamlessly integrate sales and order management with back-office financial and accounting processes within a single, flexible business application. DKM leverages experience and best practices from a host of media and entertainment companies, complemented with a superior professional service implementation methodology. Whether you have special needs in reporting, responsiveness (AOG), traceability or engineering, Developing Knowledge in Manufacturing has the right Enterprise Resource Planning (ERP) system for you. DKM brings thousands of hours of experience to ensure your success and payback. We represent major ERP vendors to fit an appropriate and cost effective system to your environment. Please call now to find out how we can impact your business. Whether you have special needs in reporting, outside operations tracking, traceability, engineering, DKM has the right Enterprise Resource Planning (ERP) system for you. 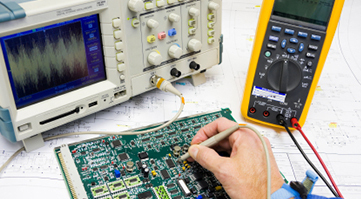 DKM brings thousands of hours of experience to ensure your success and payback in the electronics industry. We represent major ERP vendors to fit an appropriate and cost effective system to your electronics environment. Please call now to find out how we can impact your electronics business. For industrial equipment manufacturers, performance requires delivering parts and products, understanding customer specifications, and gaining higher efficiencies. Manufacturers have made impressive improvements in productivity, changeover and quality on the plant floor but costs can remain unnecessarily high due to frequent delays, changes or estimate errors. The challenge now is to extend and synchronize plant-level efficiencies across the organization (sales, engineering, sourcing, transit, services) and out to all manufacturing partners. 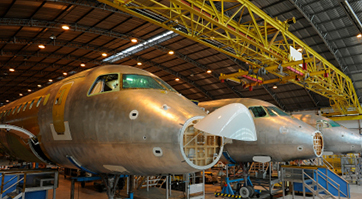 Developing Knowledge in Manufacturing has expertise in a variety of industries in the transport equipment environment. In addition to aerospace, DKM helps clients that participate in the automotive aftermarket and recreational vehicle (RV) industries. These industries are pressured to maintain a strong product development pipeline while keeping their costs in line. As aging baby boomers have more recreational time on their hands, these industries have experienced rapid growth. Find out how our solutions can help.